Sébium Foaming Gel gently cleanses and is the only cleansing gel that limits the formation of blemishes thanks to the Fluidactiv Sebo-correcting complex, which biologically regulates sebum quality. Enriched with purifying agents, zinc sulfate, and copper sulfate, Sébium Foaming Gel purifies the skin and limits sebaceous secretion. Keeps pores from becoming clogged. Can be used as a shaving foam. 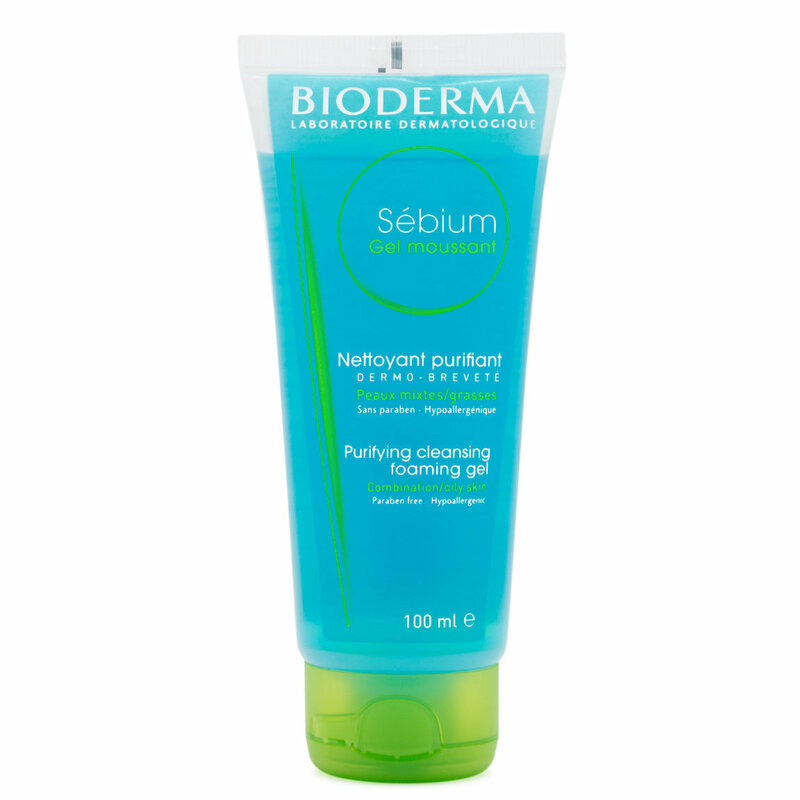 Apply Sébium Foaming Gel on damp skin. Lather, then rinse thoroughly. Dry gently. I bought this along with all of the other products for oily skin. 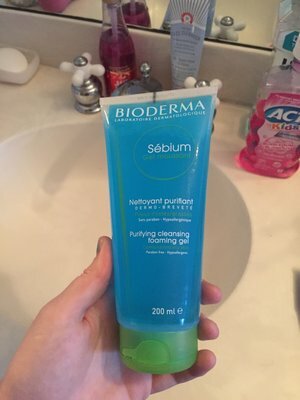 My skin is a oily mess on most occasions and since using bioderma I've noticed a huge difference. I use this in the morning on days i don't use the exfoliator. Leaves my face feeling clean and fresh without drying. Use this with my spin brush and it makes a great foam. I was also suprised that the actual size debt didn't match the picture, so that's the only reason for a 4.5. The actual product is wonderful. My skin is very temperamental, going from extremely oily to very dry within a few months. This face wash has been great on my now oily skin. You only need a small amount for a great foam. I don't feel that it dries my skin to that tight feeling. I had a monstrosity of a pimple and it has almost disappeared in the 5 days of use. So far so good. I hope to get the face lotion as soon as they restock. I use it after work out as a shower gel. The skin feels clean after using it. It doesn't prevent blemishes. It just cleans the skin. It is ok to use for shaving. I would recommend this to everyone I know. It's the best acne medication I have ever used and the first one that I actually started seeing results within the first 2- 3 days of use. Received product not same as picture. The picture on the website is a pump.... when I received my item it came as a tube version, and the lid really isn't all that sturdy. The product itself foams up nicely. However, it dries out my skin if I use it twice a day, so I use it with my Clarisonic at night. Would not buy this item off here again because of the misleading picture. I tried another face wash after using this one......I have repurchased this product because there was a cleaning feeling I got after using this product. Not over drying. Love this face wash it leaves your skin so soft and glowy! im glad that Beautylish is now selling it, i usually purchase it from amazon, glad i can get it from here my FAVORITE place to order from. CUSTOMER SERVICE is AMAZING and so helpful! Cant stress about how amazing they really are!!! only downside to the product is that it doesn't do that well of a job removing your eye makeup but it does do a awesome job at cleansing the face. Works good for oily skin. Tried the pore refiner in a sample size, and i think i'm falling in love! So far so good! Have only been using it for a week but it’s controlling my acne break outs so far. I missed one night though and they started coming back but when I got back on schedule they went away fast! I love it so far.